Glass-fronted cabinets come in a wide variety of styles to compliment every type of personal taste. Decorative panes are available in frosted, seeded, reeded, or pinhead textures; and don’t forget about custom stained glass! Instead of emphasizing texture or color, panes such as diamond-paneled or mullion or arched fronts can add interest to glass cabinet doors with shape. As Sam Ferris from Houzz states, “No matter what style of glass cabinets you use or where you insert [them], these windows into your lifestyle make cooking and socializing all the more personal.” Let the expert designers at KBC Remodeling Services in Longmont help you select the style and location of glass cabinets that will work best with your lifestyle! Upper Cabinets or Above: If you’re worried about keeping your dishes perfectly organized, don’t be dissuaded from glass doors because there are many different types of textured glass that will slightly obscure cabinet contents but still create an open atmosphere. Installing glass along the top units will break up the expansive woodwork if you have two rows of uppers. 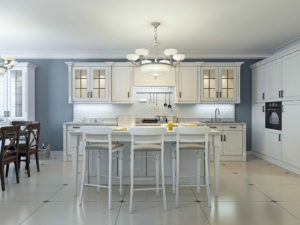 Peninsula Cabinets: If you’re short on storage and need to keep cabinetry above a peninsula, installing double-sided glass uppers will allow light to pass through and prevent the kitchen from feeling closed off from the adjacent room. Cabinets Near a Special Feature: If you want to highlight a custom hood, sink or backsplash then flank the feature with glass-fronted cabinets to draw the eye towards a beautiful element in your kitchen. Corner Cabinets: The location and narrow area of upper corner cabinets create a perfect opportunity for an accent of custom glass. Island Endcaps: Although maybe not the best choice for families with young children, glass doors can be installed on base cabinets as well. The outward-facing end of a kitchen island would be a great choice for glass cabinetry. Glass cabinets are a great choice if you have a special collection you want to display or just want to create a more personal and inviting atmosphere in your kitchen. 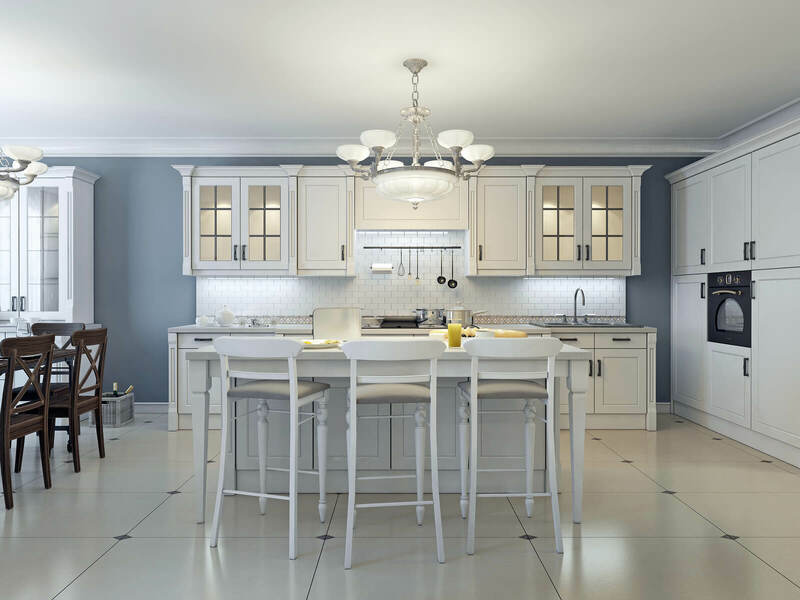 The designers at KBC Remodeling Services in Longmont are experts in choosing the best style and location of glass cabinets to suit your vision for your kitchen remodel.